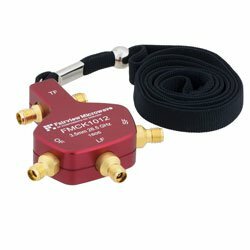 Fairview Microwave’s portable calibration kits consist of two models, both with a compact, lightweight, 4-in-1 design package. 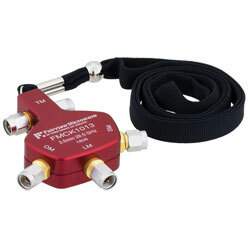 These short-open-load-through (SOLT) calibration kits feature precision 3.5mm connectors, have a 26.5 GHz calibration capability, gold plated short-open-load-thru and include a handy lanyard. These SOLT calibration kits have a phase deviation of +/-2 degrees maximum and return loss of 30 dB minimum and feature an impedance level of 50 Ohms nominal. They are ideal for telecommunications, military electronics, automotive, medical, aerospace and consumer electronics industries. Fairview Microwave’s SOLT calibration kits are available off-the-shelf and can be shipped immediately. ® Fairview Microwave Inc. 2018 All rights reserved.